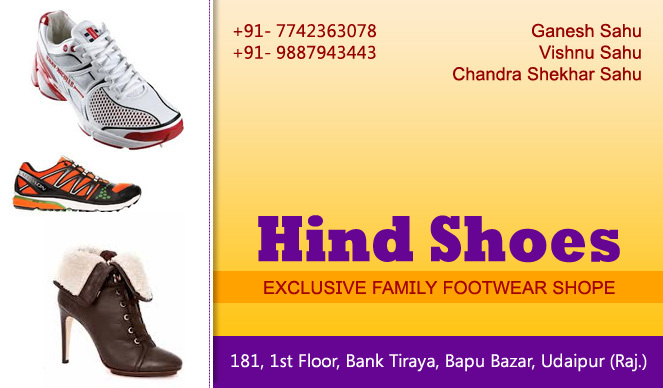 You are looking for a place to get best shoes in Udaipur Hind shoes is one place you should reach. Hind Shoes deals in all type of shoes, kids, ladies and gents. We are well known within Udaipur in for best quality and brand shoes. Quality and customer satisfaction is our motto. Our well trained stuff is always keen to serve customers with passion and their needs. 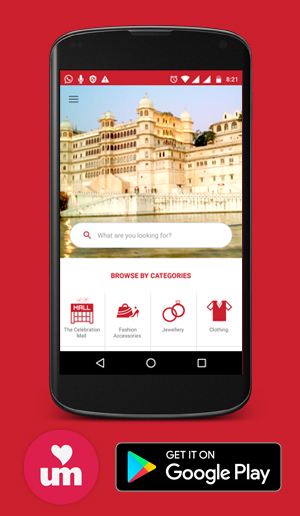 We understand the fashion needs and traditional needs of Indian consumers. We are very trendy and know the fashion patterns of young consumer. Our inventory is updated with the latest fashion trends and fashion wears. We have shoes for all age groups for all type of activities.